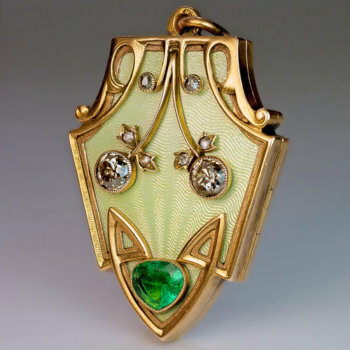 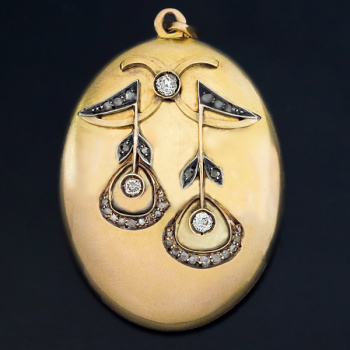 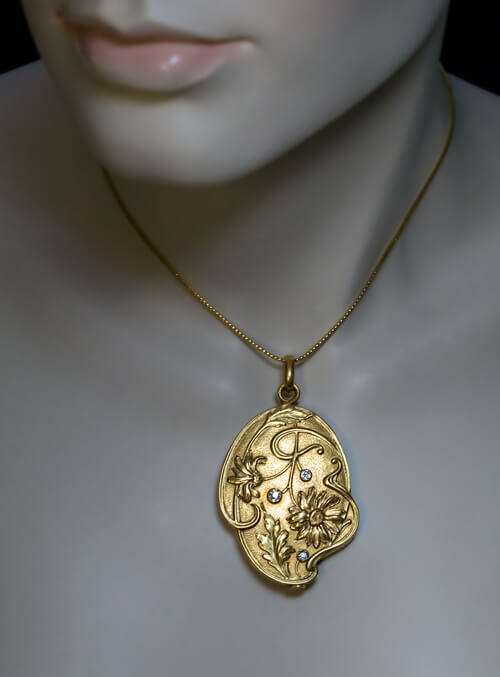 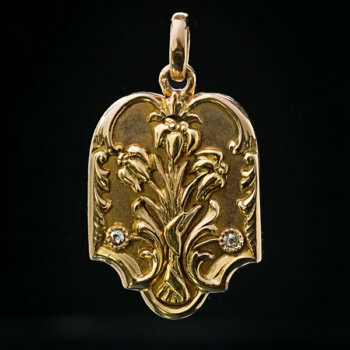 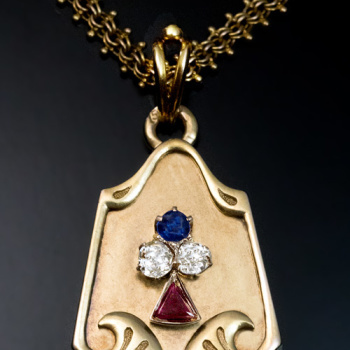 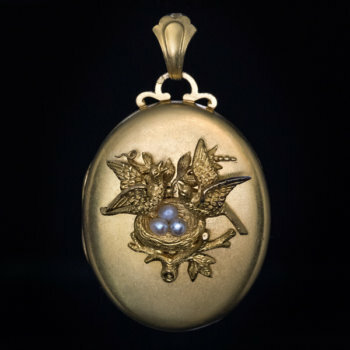 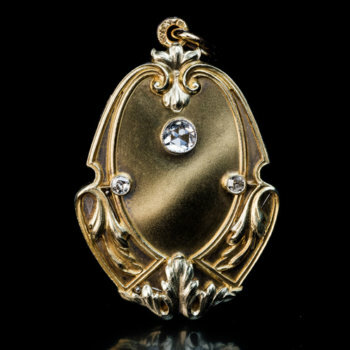 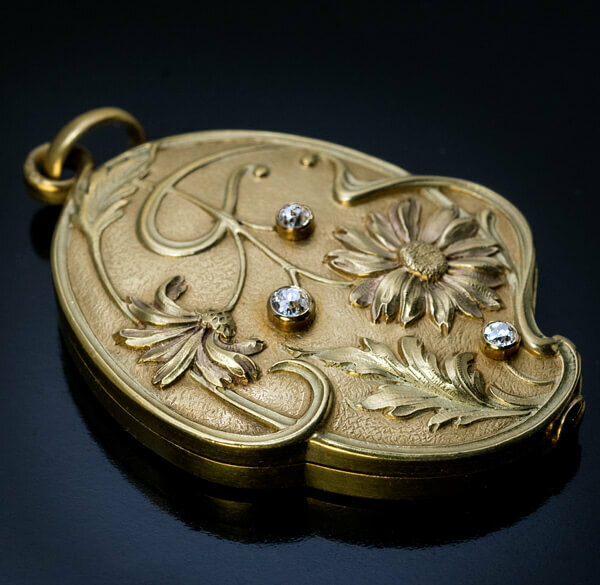 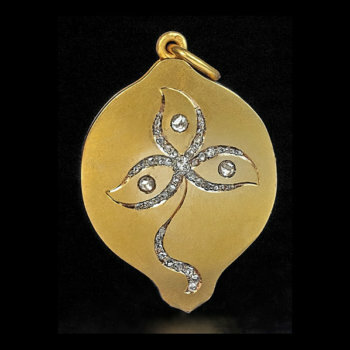 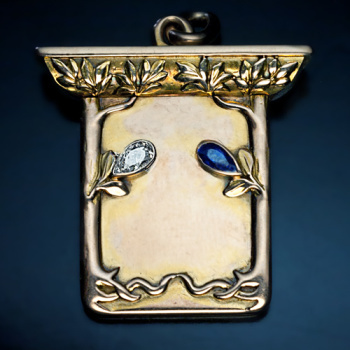 This large antique French 18K gold locket pendant is superbly modeled in the Art Nouveau style of the 1890s – early 1900s. 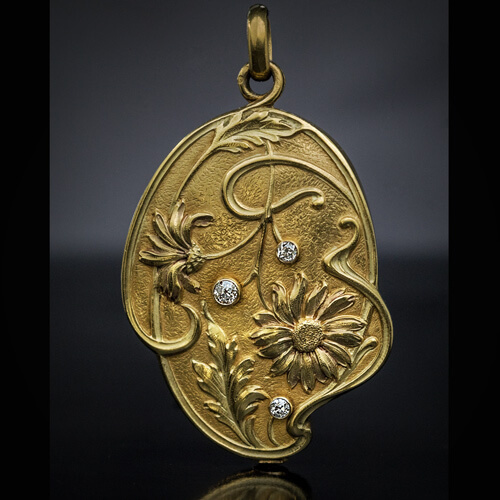 The cover is finely chased in high relief with flowers accented with three sparkling old mine cut diamonds. 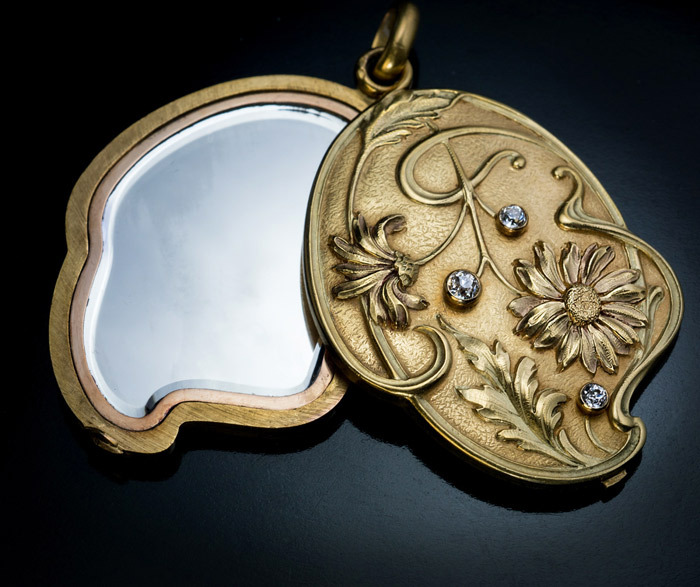 The interior is fitted with an original mirror and a red velvet insert. 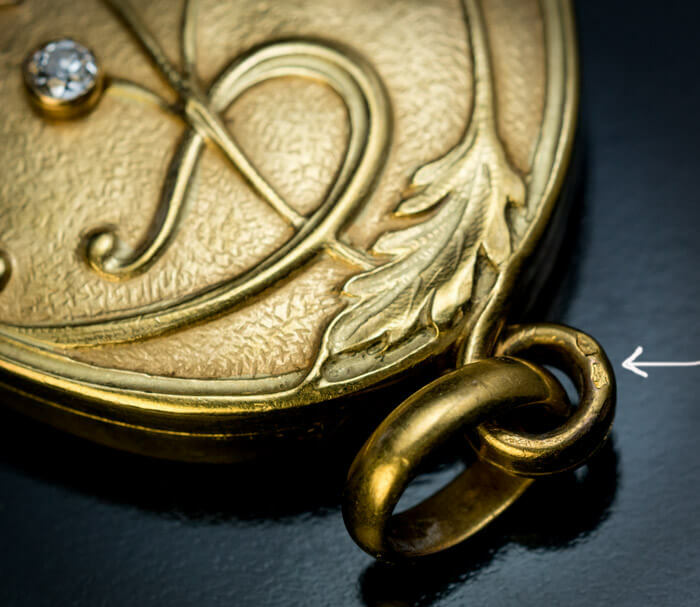 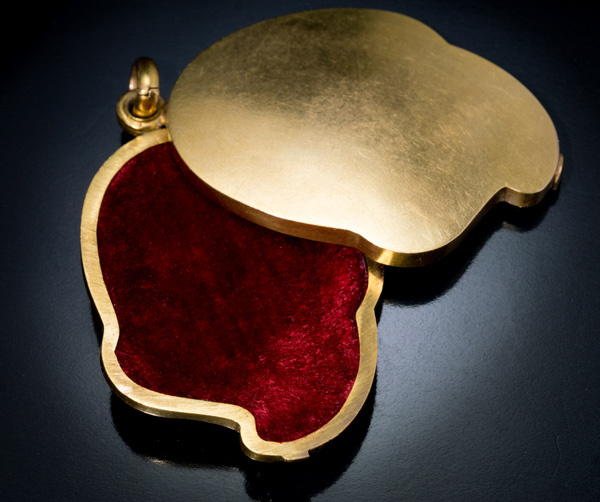 Marked with Mercury head French export gold mark.